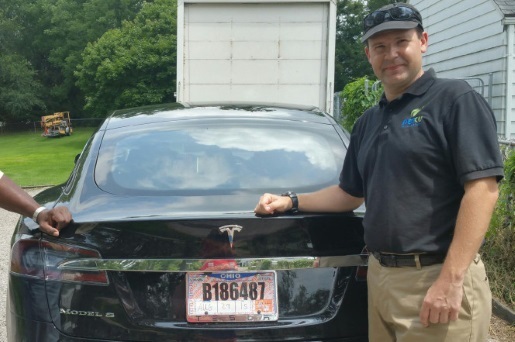 Joshua Brown and his 2015 Tesla, dubbed “Tessie”. Driverless cars are the future. We already have cars that help us parallel park, and every company seems to be getting in on the driverless car game, from Google to Tesla to the Department of Defense. So far, so good, by and large. There have been accidents, but they’ve typically been the fault of other people on the road, not the driverless cars. That has just changed. The first fatality in a driverless car has occurred. Joshua Brown, a 40-year-old technology company owner from Canton, Ohio, smashed into the side of a tractor trailer. The fatal wreck happened on May 7 in Williston, Florida. Brown was riding in his Tesla and watching Harry Potter on a portable DVD player when his car failed to apply the brakes for a turning tractor trailer driven by Frank Baressi. According to Baressi, Brown went through his trailer so quickly that Baressi didn’t even see him. Apparently, the Tesla failed to differentiate the bright white of a turning truck with the brightness of the sky, leading to the fatal accident. Sadly, Brown was the perfect candidate for a driverless car, because, according to those who knew him, he drove with a lead foot and the driverless car made him drive a little safer.